Now we’re talkin’. Mac. Bandito. The King of Cool. Of course, I’m talking about Steve McQueen, an action star that even over 30 years after his death, he’s still recognized as one of the coolest, iciest actors in film. 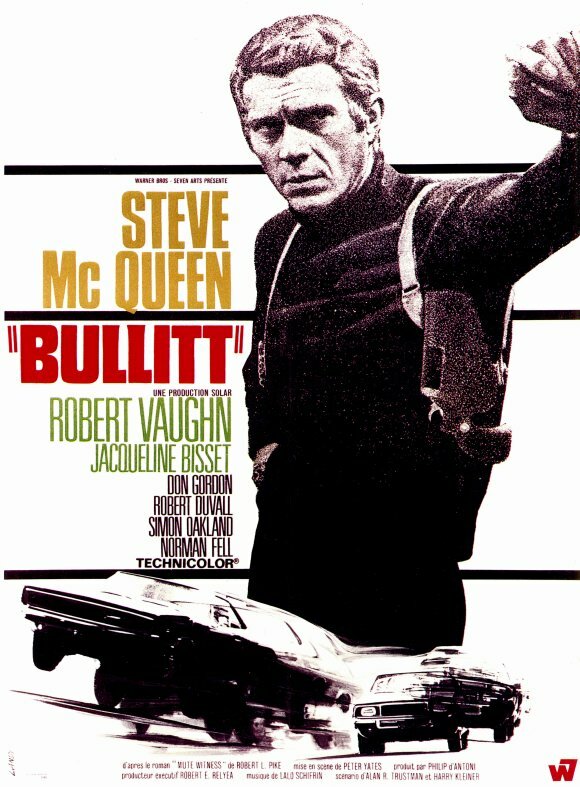 The movie that took his career and made it international was the 1968 cop/crime film Bullitt. Now, what’s cool about Bullitt is that it is the main influence for action movies of the 1970s through the 1990s. Think of any huge action movie and it could probably be related to this one somehow. Even though this is one of the most influential and important films in film history, it hasn’t aged well in a lot of ways making it sometimes a bore to sit through. Lt. Frank Bullitt (Steve McQueen) is the kind of cop that will do anything that needs to be done in order to finish a case the way he wants it finished. When a seedy politician Walter Chalmers (Robert Vaughn) enlists the aid of Bullitt to protect a witness testifying against the Chicago mob, Frank just thinks it’s going to be a by the books protection. When the witness ends up dead and another cop severely injured, Bullitt takes to the streets to hunt down and find those responsible, but the conspiracy is thicker than Bullitt could have imagined. Let me start by saying this, I dare you to watch the Dirty Harry movies or the Lethal Weapon movies or even play games in the Driver and Grand Theft Auto series and not think of Bullitt. This is widely considered to be the first modern cop/action film with many others trying to copy the formula that is laid out in this film. This is a movie that demands respect because of the influence that it had on films to come. When this movie came out, it must have blown audiences away showing a much more gritty and urban look that wasn’t really used in movies of this kind in America. Still, there are things about this movie that just haven’t aged very well which makes it kind of odd to watch it almost 50 years after it was originally released. The movie starts out really good with McQueen’s Frank Bullitt the definition of a hard boiled cop. He does things his own way and gets them done, which I love seeing. Characters that break the rules to do the right thing is just fun for me, I don’t know. So things are going great and then the second act becomes very wandery. I see this a lot in movies from the 1960s, with musical interludes and various shots of the environment. That was sort of the style of the time, but it really brings Bullitt to a skidding halt after a great first act. The third act kind of picks up again, but I was sort of losing interest in the movie by then. Shave off maybe 20 minutes, and we would’ve been good. I can’t finish this review without talking about the famous car chase. 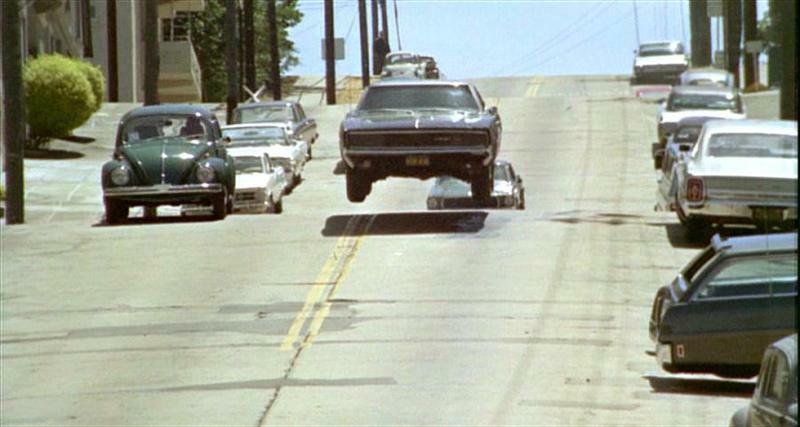 There were car chases before in movies, with the Keystone Cops coming to mind first for some reason, but many people say that the car chase in Bullitt was the first modern car chase. 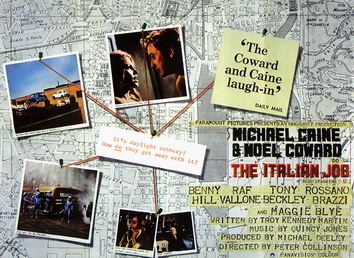 Who knows, without the chase scene in Bullitt we might not have gotten that awesome car chase in The French Connection just a few years later. Seeming to go all through San Francisco, the car chase lasts 10 minutes with the only soundtrack being the revving of the engines. It’s a blast watching the cars fly over the hilly landscape of the city and is definitely one of the best car chases ever filmed. Bullitt is one of the most influential modern movies that laid the groundwork for action/crime movies to come in the 1970s through the 1990s. That being said, it hasn’t really aged all that well. I was disappointed to see how slow the movie got in the middle and and giant plot hole in the middle of the movie that we seem to just need to ignore. It’s great to see an important and classic film even if it isn’t really that cool anymore. There were times where I just wanted to watch Dirty Harry, a movie that aged a lot better. Still, if you’re a film enthusiast, Bullitt should be seen for the history.